Enteral feeding implies a direct method of artificially inserting nutrients and supplements into the GI tract. All forms of tube feeding methods, including gastronomy, nasojejunal, nasogastric, and orogastric, are considered to be a part of enteral feeding methods. In most circumstances, children are in a greater need of enteral feeding due to several medical issues that render them to ingest foods in a natural manner. These reasons can include impaired swallowing, structural anomalies or abnormalities in the mouth or the esophagus, anorexia or other eating disorders, chronic illnesses, primary disease management, growth in overall bodily nutrient needs, or congenital abnormalities. Enteral feeding essentially stents the esophagus, allowing the administration of foods, nutrients, and supplements to the stomach by bypassing the mouth and the esophagus. Conversely, it also allows for a free passage for draining the contents in a stomach should the need arise. Enteral feeding is a growing requirement among the rising geriatric population, and a lot of players providing enteral feeding formulas are accepting this change in order to grow in profitability. The number of elderly patients requiring enteral feeding has grown considerably over the recent past. Their nutritional requirements are different from the conventional formulas intended for children, which allows enteral feeding formulas for adults to be an entirely different market segment from the formulas used to feed children. Various types of enteral feeding formulas are being commercially sold across key regions, which include isolated nutrient sources, formulas for diabetics, and formulas high in fiber. 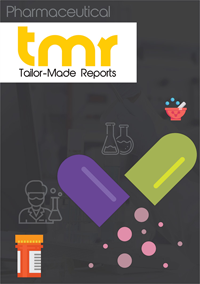 The report offers a comprehensive overview of various factors contributing to the expansion of the global enteral feeding formulas market. It also provides insights into challenges that the market could face over the forecast period. The prevailing trends in overall market operations are also studied in the report in detail. The growth of the global enteral feeding formulas market is driven by factors such as growing geriatric population, increase in various chronic diseases, and overall increase in healthcare expenditure. In terms of product, the standard formulas segment held a large market share, and this segment is expected to grow in the forecast period as it is known to offer a complete and balanced nutrition. The specialized formulae segment is projected to grow faster in the said period due to the high demand for these products used by patients who face difficulty in digestion of complex proteins. Based on stage, the adults market segment is expected to account for large share of the said market. Escalating large base of geriatric population in developed economies is one of the key reasons for high demand. By application, the oncology segment is expected to largely contribute to the market. Due to due to high prevalence of malnutrition among the cancer patients, this segment will continue to lead in the years ahead. Hospitals, the end user segment of the market held a major share of the market. Vast use of inpatient services, such as surgical intervention, extended post-surgery stays, and intensive care are some of the key factors supplementing the growth of this segment. Geographically, the global enteral feeding formulas market can be segmented into North America, Europe, Asia Pacific, and Rest of the World. Among the mentioned regions, North America is expected to lead the pack. Due to escalating rate of chronic diseases, large pool of geriatric population, coupled with large availability of home care service providers, this region is likely to continue contributing to the market growth over the forecast period. Another promising regional market for feeding formulas is Asia Pacific. It is projected to account for a large market share during the said period. With rise in economic development of countries such as India, China, Philippines, and Indonesia, the per capita healthcare expenditure has also seen a tremendous increment. Numerous WHO and UNICEF initiatives to lower malnourishment, coupled with growth of medical tourism and better healthcare infrastructure have supplemented the growth of the market. Some of the leading players in the global enteral feeding formulas market are Abbott Corporation, Global Health Products, Inc., Fresenius Kabi AG, Victus Mead Johnson & Company, LLC, Danone S.A, Hormel Food Corporation, Nestle S.A, B. Braun Melsungen AG, and Meiji Holdings Co.